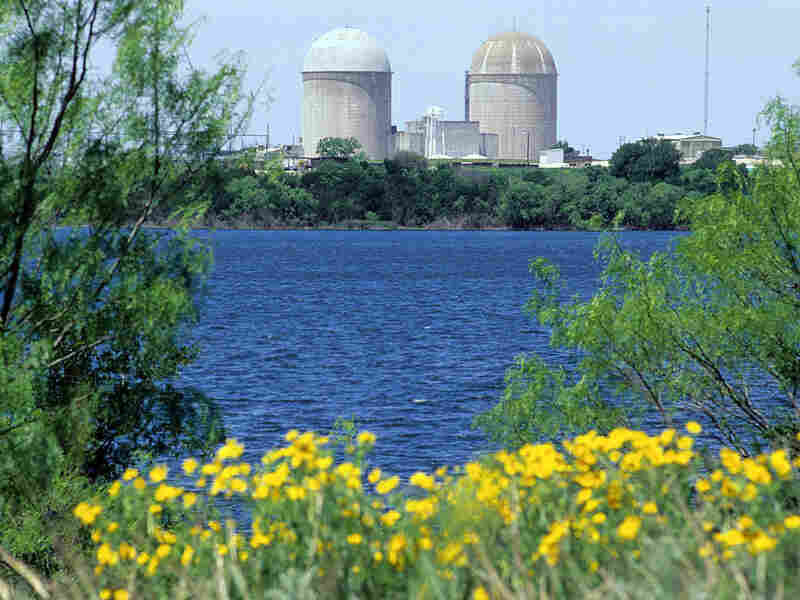 Comanche Peak in Glen Rose, Texas, is one of the newer U.S. nuclear power plants. Although construction on the plants began years earlier, its two units became commercially operational in 1990 and 1993, respectively. A new bill pending in Congress will encourage the development of more new plants by partially guaranteeing investors' financial loss. President Obama is turning his attention to energy. Recently he allowed new drilling for oil and gas along American coastlines. And he's agreed to subsidize new nuclear power plants. Besides satisfying demands for more energy, these actions could help the president win votes for a new climate and energy bill pending in Congress. But restarting the nuclear power industry — which has been treading water for 30 years — won't be easy. The threat of global warming might be the best thing to happen to nuclear energy. For three decades, no one built a new plant in the U.S., though some have been built abroad. Now nuclear looks better because it doesn't emit greenhouse gases that warm the planet. But nuclear power still scares lots of banks and investors. Leslie Kass, director of business policy at the industry's Nuclear Energy Institute, gives two reasons. "One would be some of the unknowns, because we haven't built here in 30 years," Kass says. "And they want to watch the licensing process work and they want to prove us at our word that we can replicate what's happened overseas." And No. 2 would be the cost. Kass says American utility companies tend to be smaller than their foreign counterparts. They don't have as much cash, so they have to borrow more. And the typical nuclear project runs about $10 billion, give or take. "Once you start borrowing almost as much as your net worth, you get penalized by the rating agencies," she says. "Your rating goes down and then your access to capital, the cost of that goes up." So the Department of Energy is offering a carrot to investors. If a nuclear project goes belly up, the government will pay them back — up to 80 percent of their financial loss. Kass and DOE say this will help kick-start the industry. But groups such as Taxpayers for Common Sense and environmental organizations say taxpayers are getting a raw deal here. Nuclear projects elsewhere have gone belly up or way over budget. A congressional study in 2003 said a 50 percent failure rate for nuclear projects isn't an unreasonable estimate. The U.S. industry says it's actually far less than that. But no one knows for sure. So the government now says it will offer something more to encourage investors to part with their cash: It will make the utilities and developers first pay an upfront fee. "[The fee will] account for the risk to the federal government that the nuclear developer defaults on the loan," says Richard Caperton, a policy analyst with the Center for American Progress, a liberal think tank in Washington, D.C. But calculating the fee is the tricky part. The industry proposes 1 percent of the loan guarantee. So for a typical project, a developer might pay an upfront fee of $80 million. If the project dies, the taxpayer would be responsible for the rest of the loss, which would very likely run several billion dollars. Caperton and other analysts say 1 percent is too low. He recommends developers pay a 10 percent fee, or $800 million for a typical project. This may be more than any utility can afford to pay. "It seems unlikely to me that they'd be able to get any sort of low-risk financing for the $800 million," Caperton says. "You can see where it becomes a big problem." So right now, the future of the nuclear industry hangs in part on what DOE and utilities decide that fee will be. Even if the fee is acceptable, nuclear developers can't depend on government help for long. DOE says it's just for the first few projects. Then the industry will have to swim on its own. Nuclear analyst Matthew Bunn at Harvard's Kennedy School of Government says it'll have to be a long swim for nuclear power to slow global warming. Right now, he says, only four new nuclear plants are built every year worldwide. "We have to shift from that to something like 25 every year from now until 2050," Bunn says, "if we want to provide, say, even say 10 percent of the carbon-free energy that's going to be needed to address the climate change problem." Bunn says that kind of building spree, at least in the U.S., isn't likely. But Charles Forsberg, an engineer at the Massachusetts Institute of Technology, says what's important is just getting nuclear power back on its feet. "The importance of the number of plants in the next 10 years is not total electric production, but what it sets in place," Forsberg says. "The licenses, the knowledge, the manufacturing facilities, it enables you to rapidly expand thereafter." Ultimately, the climate bill in Congress could tip the balance for utilities — not by making nuclear cheaper, but by slapping a stiff price on carbon from coal and natural gas.